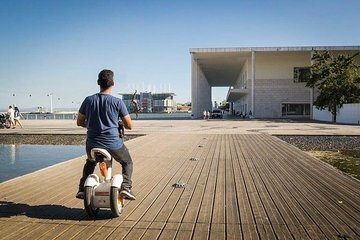 Zip along the Tagus River from Cais do Sodré to Parque das Nações on this 2.5-hour Sitway tour in Lisbon. Hear from your guide about Portugal’s history as you see landmarks such as Cais das Colunas and Terreiro do Paço, then cruise through the modern development around Parque das Nações. Cover more ground in comfort on the Sitway, a seated version of the eco-friendly Segway personal transporter.